Declutter is the new trend that has everybody in awe because, according to Marie Kondo, the Japanese tidying expert, it is more about choosing joy than cleaning a space. Her method “KonMari” has gained many followers around the world, thanks to the easy way that she explains it and because it works, but at the same time change their lifestyle. The definition for declutter on the Oxford Dictionary states: “Remove unnecessary items from (an untidy or overcrowded place).” This means everything that is not useful for you and that does not make you happy should be removed from your life. Kondo applies Japanese methods for tidying up the different spaces around you, following simple and precise steps. However, for some people, this can be too much on the perfectionist side for that reason today I will show you the benefits of decluttering your life and some tips to do it easily. There are many benefits of decluttering your spaces, not only for a comfortable lifestyle but also your health will thank you for that. The accumulated and unnecessary stuff on your property can be highly dangerous for the organism, so maybe that is the best reason for starting? If your home is organized, you will reduce your stress levels; but if you are constantly bumping into different things around it, or you can’t find a specific item, your mood may be ruined and even mess up with your job. Better to have an organized space that can contribute to your state of mind. Living or working in a cluttered space can be very distracting and affect the brain’s processing ability. The distractions are everywhere, but a place full of them will never give you a productive day, starting a change in your areas can make the difference. A clean room will provide a better sleep that you will need to fulfill all your daily activities. Besides, your bedroom must be a sanctuary for you to get the correct rest and wake up full of energy. Stress, sleep deprivation, and lack of energy can result in health problems, especially with your weight. A messy ambient will give you the sensation of needing comfort, and you will get it with food, like junk food or sweets increasing risks associated with overweight. Dust, air, mold, and allergens are in every place. But in a cluttered house these are a trap and can be very difficult to get rid of them. Normally, a cleaning session is enough to eliminate them, and in a decluttering home is easier than ever. In a messy home, you will constantly be arguing with your partner, kids, and other family members, bout missing things. But if you declutter the area, you can find everything quickly and even make an inventory of your possessions. A clean space can make you feel proud of the work that you did on it. Besides, it will increase your confidence because you make an excellent job choosing what is essential for you and what not. Tidy all at once: it will better to it all in one day or weekend; commitment to this is the only way to do it. If you declutter one room per day or week, it will be messy again in a matter of days. Visualize the destination: to start throwing things, you must visualize how do you want to live. For example, if you desire to live like if your life is a paradisiac vacation, keep the things that will give you that feeling. Determine if the item “sparks joy”: if you keep things that make you unhappy, you will invite unhappiness into your life. Better to maintain items that give you joy and produce a smile on your face thanks to a memory. Tidy by category, not location: we tend to store items into categories in different locations, but turns out that is better to tidy by type, not location. For example, better to start with your clothes than with your closet or drawers. Tidy in order: Kondo has created a list about the order in which you should start to tidy, it goes this way: clothes, books, papers, Komono (misc. stuff), and sentimental. She also explains that each one can be separated into sub-categories for an easier process. Tidying up your house, workspace, and even your life can change absolutely every aspect of you. Organize everything can improve your productivity, just remember not to get obsessed; sometimes a little clutter is necessary for a good balance. Yoga has become the physical activity preferred for so many women because of the endless benefits that you will experience with it. It helps to reduce stress, tiredness, and even sleep problems, besides giving you a healthy body. But do you know that it can improve your skin? Yes, this practice improves so many different aspects of your organism that one of the final results is glowing and healthy skin. At the same time, you will feel good about yourself and your surroundings, thanks to the release of good hormones that automatically changes your emotions and reactions. Here I will show you the different benefits that yoga has, but just remember to have a safe practice and consult with a professional in the area, to fully understand how it works. To have good circulation in veins and arteries, and a healthy heart, you must move. Even when it can look slow and boring, this sport increases blood flow and heart rate with different movements and positions. A bad circulation raises the risk of heart problems, and you will feel tired and without energy, which contributes to dry skin and hair loss. This is highly important for skin, because the oxygen flow gets rid of free radicals and other toxins from the body. The free radicals are behind the loss of collagen and elastin that are responsible for aging expressions like wrinkles and facial lines. Certain positions help with the natural process of digestion, just wait a couple of hours after the meal to go to the class. The deep breathing exercises also help with it, reducing the bloated feeling. With good digestion, the nutrients will find the correct place, and skin will have a good look. Yoga is a great way to reduce stress levels because it helps to forget work, house, and other issues, you must highly concentrate on the movements. Besides, it helps you to get better sleep and feel calm and happy. Stress and daily routines are a detonator for an imbalance among the different hormones that are you in your body. Others are your monthly cycle, but this sport is a great way to control both, and hormones will not play strange games with your body and emotions. Skin will benefit from this because a good distribution will give you a good and healthy aspect. Now, you can find new techniques like facial yoga, movements especially created for the face. These exercises are amazing for the face muscles and the skin there. You can practice them in the morning and before bed to start seeing results, giving you a youthful appearance. Yoga will increase your energy levels, giving you the opportunity to perform every activity scheduled for that day with 100% effort. Productivity will improve, and every single task will look like normal and easy to finish. This boost will also help with your feelings when you are full of energy you will feel happy and at ease. Yoga is a perfect way to release stress. In recent years, people are under too much pressure, besides balancing the different aspects of their lives. Family, job, friends, and time for yourself can be hard. Probably you can’t find time for all of these, feeling so tired that result in physical and emotional conditions. Many of those aspects are on the way to find overall wellness, which is the state of being in good health, getting better day by day. This has several dimensions that offer different benefits for every area of your life. To find a good balance, while keeping low levels of stress and emotional problems, you must work on each of the seven dimensions. It can look difficult to maintain all the paths, plus all your responsibilities and demands, but having discipline wanting to take care of yourself will reward you with overall wellness. Learn all about the seven dimensions! Physical wellness: this one is of course about your body. Exercise, have a good time of sleep, eat a balanced diet, and pay attention to its warnings. Your body allows you to fulfill all your activities and chores, while having all the energy for the day. Emotional wellness: normally, people tend to withhold their emotions, and that will never be healthy. Learning how to process and express them will help you to have a better life. Follow several tips like talking with someone that will listen to you without judging you, have a positive and optimistic attitude, practice an activity where you can release your emotions, and accepting yourself for who you are. Social wellness: relationships are always a huge part of your life, so nurturing and having good ones are important for your overall wellness because being sociable is part of being human. Of course, with age finding new relations can be difficult; but with different techniques, you definitely can improve your social skills. Some of them are: join groups of common grounds, try to make new friends naturally, and nourish your existing ones. Intellectual wellness: your brain is one of the most important organs: it will define your personality, your intelligence, and knowledge. For that single reason, it’s important to train it. Age is not an impediment to keep learning new abilities and improve the old ones. Stimulating the brain is a fun exercise and one that has great benefits for you. Spiritual wellness: this dimension doesn’t depend on a specific religion, but if you want to rely on one is your ultimate choice. The is more about your beliefs, faith, and values that form your character and moral guidance. In hard times, you can take a deep journey within yourself and find all the guidance and strength to keep fighting and never give up. Environmental wellness: it will be important to treat your surroundings and the planet in general in good ways. Protecting nature will give you a feeling of doing the right things, and make others to follow your example. Earth needs us to be more in sync with its wounds, so help it to be better will give you a sensation of being a nice person and be on the right path. Occupational wellness: here, you will find passion in your workplace, but this is not about to have fun on it, it’s to find realization and be happy with what you are doing, your colleagues and your workplace. There are many ways to improve this dimension, and they will depend on your job and your personality. To have a good quality of life you must work on these dimensions and applying them on your daily routines. 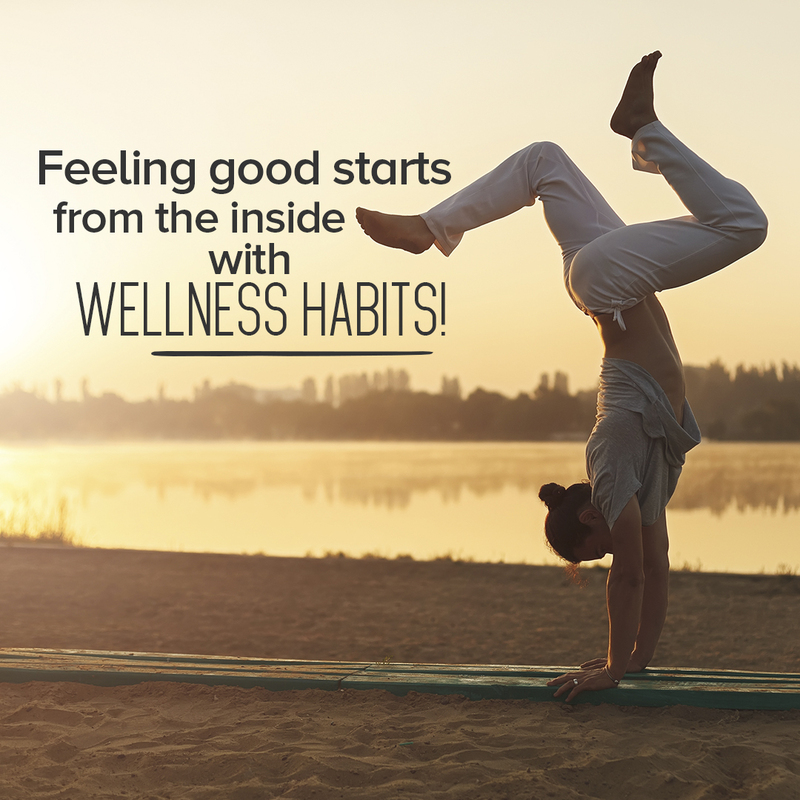 These are the best qualities for our overall wellness, so keep improving to become the best you! Apply these principles that will help you lead a full life. 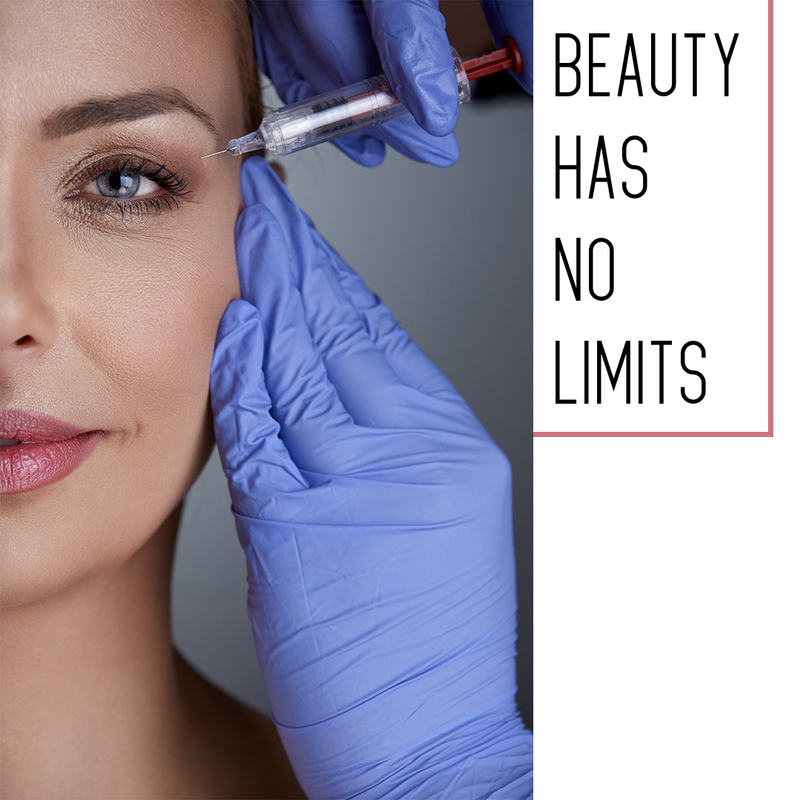 Botox is an injectable solution that helps to relax the muscles of the face, neck, and even hands, allowing the partial elimination of wrinkles resulted from aging and other factors. However, even with all the information about Botox, there are few things that you may not know. So, if you are planning to go under this procedure, it’s better to know all the different options that it offers because reducing the look of wrinkles is just one of its uses. Are you ready? A smile can turn you into a different person and cause people to be more open for interactions. But sometimes your smile can show too much, including your gums, making you self-conscious. There are some botox treatments for this gummy smile that will allow you to show your full smile without worries. Do you want a heart-shaped face? The heart-shaped face is considered one of the most feminine looks. But every person has a different face shape, and if you possess a strong jawline that gives you a masculine touch, with a couple of botox sessions, your jawline can slim down to show a softer look on your face and even a heart-shaped one! Muscles need exercises to be healthy and in good condition. However, minor muscles like the ones on the face are highly used with every expression you make, and that is one of the main causes of wrinkles. When treatments are implemented regularly, the time between each session will be longer, and the face will have a more relaxed look. Just remember to never go under treatment if the mandatory period of rest hasn’t finished. Problems with sweating? Botox will solve them! There is a condition known as hyperhidrosis that causes excessive sweating, and it can be an awkward situation because the sweat can present in different parts of your body accompanied with bad odor, besides being embarrassing. Botox is an effective way to reduce the amount of sweating by injecting the solution right on the affected area; usually, this is localized under the arms. You may need several sessions distributed throughout the year to reduce the condition. Nowadays, it’s starting to be used to dull the pain associated with migraines, and even to prevent the beginning of one. This condition can affect any individual in different ways, it will depend on several factors, but it normally can cause a hard pain and change the general development of the daily activities because of the constant pulse on the brain. Botox is gaining fame as a way to control this condition. Botox can be used in many different ways, not just for the beauty aspect. Many conditions associated with skin and others are being treated with this solution. Find the best professionals in town and check all the information that they provide before going under treatment, remember that every organism is different and you can react in unknown ways to it. Always remember to go with a professional for your treatment. Pregnancy is a state where women face so many changes requiring care and precautions to be healthy and allow normal development of the baby. The doctor will give you a long list of do’s and don’ts to follow for the next few months, but most likely, it will be about food, drinks, physical activities, and surroundings. Beauty products haven’t been considered as important, until recent years. Nowadays, these are being taken into consideration because the composition of some chemicals have tested harmful for the baby and for you. For your safety, you should avoid products containing any of the following ingredients. Look at them closely and find a substitute. This list is created to provide a helpful guide to use when you are looking for beauty products; that way your routines and beauty care won’t be affected during this wonderful time of your life. Retinoids: these are present in the acne and anti-aging products, under the following names: retinyl palmitate, retinoic acid, isotretinoin, adapalene, retinaldehyde, tazarotene, and tretinoin. 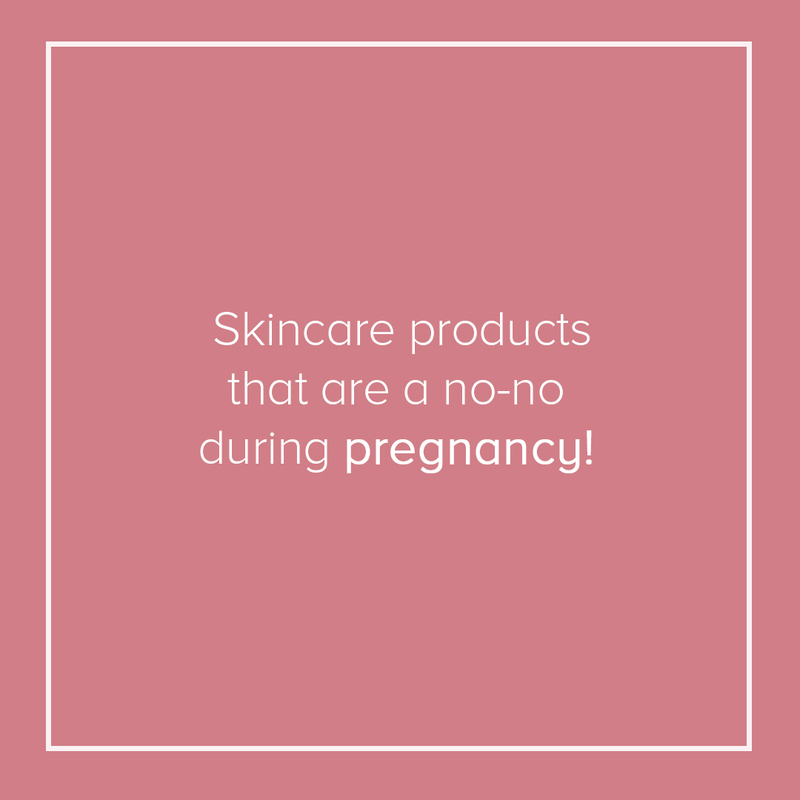 Doctors recommend not to get pregnant under the use of those products, or if you are planning to. However, if you got pregnant cut the application immediately. Phthalates: this is used in products like perfumes and nail polish to increase the effect of other chemicals in their formulas. Products with phthalates are associated with health problems such as high blood pressure, diabetes, and bad fetal development. So next time look for products phthalates-free when you want a new perfume or nail polish. Formaldehyde: speaking about nail polish, this one can be found in many different brands. Others, like hair straightening treatments and eyelashes glue, also have this in their formulas. You will find the formaldehyde under many labels like quaternium-15, dimethyl-dimethyl (DMDM), 2-bromo-2-nitropropane-1,3-diol (bromopol), and others. Buy only formaldehyde-free products for your house. Ammonia: are you in love with dying your hair? Well, many dye hairs have this ingredient as part of their formulas, that is the reason behind the success of many ammonia-free alternatives. Inclusive, you can find many that are using natural ingredients on their components to bring better protection for the hair. Dihydroxyacetone: also known as DHA, can be found in spray self-tanners, this one reacts on your skin making it look like a recent tan without getting under the sun. However, the problem is if you inhale the particles; for that reason, forget about the spray tan during the pregnancy. Your health and baby safety matters. One of the most noticeable signs of aging is saggy skin. As we lose collagen, muscle and bone mass, the fundamental structure of the skin becomes affected and shadows and folds form, giving the skin a more tired, aged appearance. Loss of elasticity is the reflection of what is happening at a deeper level. Therefore, it is necessary to address the different factors involved in order to achieve a good result. There are a variety of options out there to improve skin firmness, some more invasive than others, many very effective indeed. Through the years I have worked with different modalities and one that has always shown great benefits is micro-current. Yes, it takes a few more treatments compared to more aggressive methods but it definitely delivers reliable, fantastic results. Within micro-current devices there are big differences too. One of the main obstacles for a good micro-current treatment is the skin itself, it blocks the current to penetrate evenly and work its magic. If you are looking for a modality that gives you a natural, realistic result without going under the knife or other treatments like IPL or laser treatments that rely on thermal damage, the KineLift program can be a good option for you. 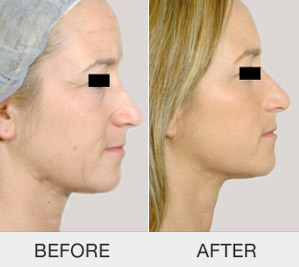 It offers you a safer, non-invasive, yet effective approach. 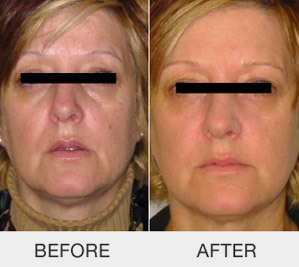 The Kinelift non-surgical face lift treatment is a technologically advanced program to help restore facial contours and achieve a more lifted appearance of the skin. Designed to control the aging process by stimulating the fundamental layers of the skin. This non-invasive method produces a three-dimensional facial stimulation that targets age-related problems improving muscle tone, collagen stimulation and ATP production to address the signs of aging. The Kinelase function combines Low-Level Coherent Red Light along with Impulsed Micro-currents focusing on the stimulation of acupoints to smooth fine lines and wrinkles. KineLift Micro-currents match the natural bio-electrical currents found in the body restoring facial contours and a lifting result. Kinelift electrodes are exclusive to Silhouet-Tone. Scientifically designed to allow even and comfortable distribution of the currents which adapt to each individual skin type for a successful treatment every time. The red-light range generates a wave of energy that stimulates photo-receptors in the skin to encourage a cellular response increasing collagen production by 500% activating repair mechanisms and stimulating cells to regenerate. It also speeds up the healing process by carrying more oxygen and nutrients to the skin. Ultrasound. Produces 3 million vibrations per second. Delivers an energizing cellular micro-massage that creates instant oxygenation of the deep layers of the skin while allowing the penetration of active nutrients and antioxidants to combat the effects of free radicals, resulting in a more luminous vibrant complexion. Everyone skin is different. Factors like lifestyle and genetics will determine the number of treatments required. Most clients see noticeable results from the first treatment and the benefits of just one treatment will continue for at least 3 months. However, to achieve a more lifted appearance and to be able to re-educate and sculpt the muscles for a more long term result, a few more sessions may be required. 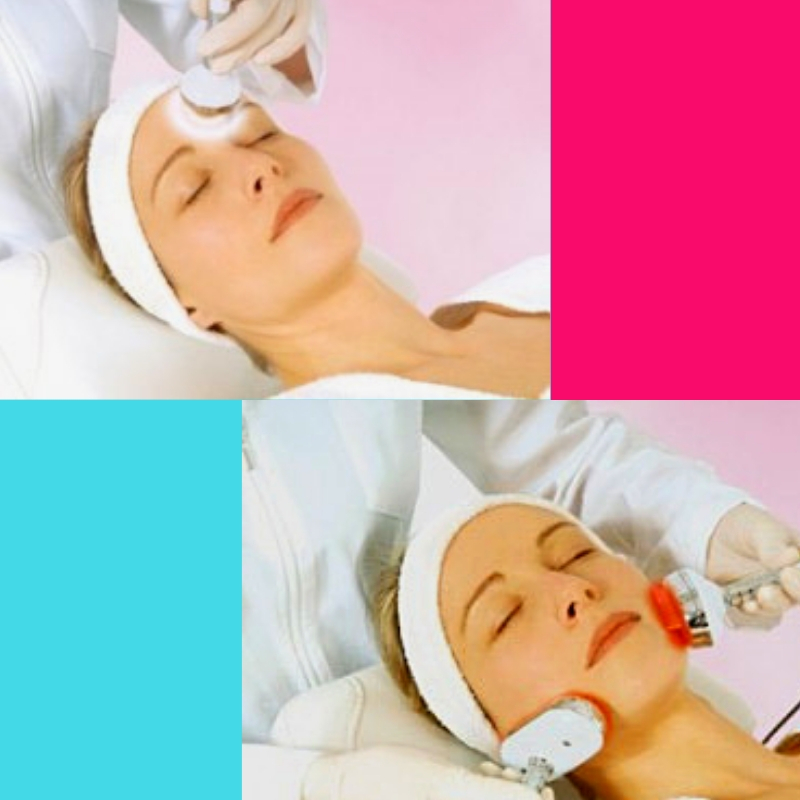 What is the cost on the KineLift Multi-layered micro-current treatment? Have you heard or seeing this term lately ? It has become a very trendy word nowadays, although the subject was first brought up over 70 years ago by dermatologists Stokes and Pillsbury. They established the hypothesis of the connection between the gastrointestinal mechanism and skin conditions. The human microbiome comprehends the army of micro-organisms living on and in the human body. It plays a very important role and a vital part in our immune system, nutrition, metabolism and on the barrier function of the skin. It is directly affected by genetics and lifestyle choices which is why people respond differently to infections and illnesses. The skin reflects what is happening inside our body. Imbalances are shown often as inflammatory conditions such as eczema or rashes. It can also exacerbate or trigger an onset occurrence of rosacea and acne. In our society the word “cleanliness” has been taken to the extreme, where we are obsessed and surrounded by chemicals that not only destroy dangerous pathogenic bacteria but also good bacteria, many of those chemicals can be absorbed by the skin and affect the environment of our gut, giving place to systemic inflammation. Another common culprit of gut disturbances is the over use of antibiotics . Every time we take antibiotics we are changing the environment in our gut, and if good bacteria is not replaced once the antibiotics are finished, this can create a space for fungi to over grow initiating other health issues such as yeast infections for example. A good round of probiotics is a good idea to reestablish a healthy flora once you have finished with the antibiotic treatment, always under the approval and recommendation of your health professional. Even influence our mood and state of mind. So how to give your microbiome a healthy boost? Eat more fruits, vegetables, nuts, grains and seeds. They all contain high amounts of fiber which serves as fuel for good bacteria helping to maintain a healthy micro-flora. These reduce gut diversity and increase inflammation. As mentioned previously, antibiotics kill good and bad bacteria leaving the gut vulnerable to disturbances which in turn can affect the immune system and the skin. Do some gardening and outdoor activities. This will help you have a broader diversity of gut flora which can strengthen your defenses. Having peace of mind and taking control of your emotions contribute to a more stable and healthy microbiome leading to better health and fortifying the skin’s protective barrier and improving inflammatory skin conditions such as acne, eczema, psoriasis, rosacea etc. Do you feel overwhelmed and confused with all the options out there promising to make you look younger? HEALTHY TIPS, SKIN CARE, SKIN TREATMENTS….. Many people feel the same frustration. Knowledge is key to understand what works best for you. You have the power to reset your body to be healthy and look better than ever. Aging is inevitable, but how you age is a choice solely determined by YOU and the decisions you make in your daily life. It’s never too late to take control and implement an integral approach to aging. It will have a substantial impact in your life. Nourishing the body with proper nutrition, selecting the appropriate skincare and treatments cannot only slow down but even reverse the aging process and give you a complete rejuvenation effect. Discover a new way to aging and how incorporating key skincare ingredients, good nutrition and healthy lifestyle habits will bring incredible changes to your SKIN and overall WELL-BEING. As a professional, I will guide you through the saturated noise of “anti-aging” and share with you curated information and all my secrets and essential tools to help you feel wonderful and look years younger. Stress is a silent enemy already considered for most as part of the modern world. It is the culprit of many illnesses and one of the most important causes of aging. Andrea is an expert in the topic and counts with a Master’s Degree in Clinical Psychology. She will be sharing wonderful tips and techniques that you can apply daily to ease stress and maintain a healthy state of mind. I am a Paramedical Aesthetician, Beauty professional and a firm believer in living a Healthy lifestyle. But besides understanding the skin changes from the view of a professional; as a 48 year old woman, I perfectly understand what you may be going through when it comes to aging, because I am also facing the same challenges. The prevalent signs of aging skin affect everyone sooner or later. BEAUTY IS NOT ABOUT BEING PERFECT BUT ENHANCING WHAT WE HAVE AND LETTING IT SHINE THROUGH! That’s why I want to guide you through the saturated world of cosmetics and inspire you to make good choices for a younger looking SKIN, healthy living and overall well-being. Fully bilingual English/ Spanish. Born in New Jersey USA with Costa Rican roots. Worked the Aesthetics field in the dermatological arena as a Lead Aesthetician for 10 years; thereafter, as a business owner, Aesthetics educator, product developer, Spa and Aesthetics Consultant and recently as the Founder of Zkin Fix Skincare. Skincare Specialist, Cosmetologist, Electrologist, Massage and body Therapist. Degrees in Health Science with emphasis in Skin Care and a second Degree in Industrial Management. Advanced education in Medical Aesthetics, Laser Technologies & Holistic Nutrition. There is Free Parking in the Plaza. DO TELOMERES HOLD THE CODE TO UNLOCK THE MYSTERY OF THE AGING PROCESS ? Scientists have been diligently looking for the key to unlock the mystery of the aging process. Discoveries show that they are getting closer and one of the most important pieces of the puzzle seems to rely on the telomeres. In 2009 scientists Elizabeth H. Blackburn, Carol W. Greider and Jack W. Szostak were honored the Nobel Prize in Physiology or Medicine 2009 with the discovery of the telomeres. How do telomeres influence the aging process? Natural deterioration of the cells associated with the aging process occur in our DNA. Our DNA contains the chromosomes that hold the genetic material that differentiates the distinctive characteristics of who we are. The tips of the chromosomes are protected by caps (kind of the caps at the end of a shoelace) which protect the information in the chromosomes. Our cells are designed to divide & replicate giving life to new cells. It was discovered that every time the cell divides, the telomeres become shorter and less effective, thus, exposing the chromosomes to suffer injury and degeneration until the cell is not longer able to divide and it dies. Basically the length of the telomeres represent the longevity of the cells, the longer the telomeres the more resistant to aging we are. This phenomenon may not necessarily match the person’s chronological age, since relevant elements such as lifestyle, nutrition and environmental exposure have a big influence on how telomeres behave. Another key factor in the game is the telomerase enzyme. It has proven to lengthen telomeres and protects them from deteriorating too fast or too early. **However, further studies are still needed because while telomerase does lengthen telomeres, it seems to play an important role at contributing to the growth of tumors in people with cancer. Nevertheless, it is clear that the longer our telomeres are, the better our health and our longevity. So let’s take a look at what we can do to support and preserve the length of the telomeres. * Avoid sugary and highly-processed foods. Unhealthy snacks and foods high in fats and sugar produce a significant increase in stress hormone, cortisol leading to an inflammatory response which in turn contributes to shorter telomeres. Oxidative stress (when there are too many free radicals in comparison to antioxidants) shortens telomeres. Stress is now part of our busy lives. Since we are constantly in a sympathetic mode( fight-or-flight response) our body produces extra hormones among which is cortisol. High levels of cortisol eventually induce chronic inflammation depleting all body systems and affecting and the length of the telomeres leading to many health illnesses and accelerated aging. Meditation is a wonderful practice to bring focus and tranquility to our life. Reducing stress and anxiety is essential for our health. It helps to lower levels of cortisol and other stress hormones that trigger chronic inflammation. Lower levels of stress help to lengthen the telomeres. * Healthy Sleep. Good quality sleep is crucial for cell repair contributing to longer telomeres. *Curcuma ( Reduces chronic inflammation and it is a powerful antioxidant reducing oxidative stress). *Vitamin D. A molecular connection was found recently between vitamin D and DNA restoration, an action closely involved in the maintenance of telomere length. *Vitamin B’s . B vitamins, including vitamins B6, B12, and folate are vital influences in the breakdown of the molecules that make up DNA supporting normal cellular replication. *Foods rich in omega 3 A study conducted in 2010 in The Journal of the American Medical Association showed that higher the levels of omega-3 in the blood, contributed to prevent telomere shortening over 5 years. Although science continues with the process of discovering all the different pathways in which telomeres influence the aging process, the already available information reveals great promises. Therefore, implementing lifestyle changes that contribute to preserve/expand the length of the telomeres to help us better our health and longevity are certainly worth a try. Summer weather is fun for outside activities but to stay looking fabulous and neat in the heat becomes a bit challenging. Hot, humid weather affects the skin and hair in many ways. The skin gets dehydrated and dull due to excessive sun exposure and sweating, high temperature activates the sebaceous glands to produce excessive sebum (oil), something actually good for dry skin but not so great for acne prone skin, since it triggers breakouts; the hair gets frizzy no matter what tool you use, and the makeup seems to melt right after you apply it. To make your makeup stay put, use lighter texture moisturizers during the day. Serums and lotions make a great choice. Avoid using too many layering products like primers. They contain high amounts of silicones and can make the skin feel heavy and greasy after a while and contribute to make the skin look cakey. BB creams and tinted moisturizers with SPF are a fantastic option because they offer you: sun protection, hydration and light coverage to even out the skin tone, all in one. So right there you are avoiding the use of two extra products. If you need more coverage in some areas, just touch them up with concealer, blend it well and then seal the makeup with a light powder to make it last longer and stand humidity. Save the full coverage foundation and more elaborated makeup for the evening when the humidity is lower. BB creams and tinted moisturizers with SPF are great to simplify your beauty regimen. Switch to waterproof mascara, eyebrow pencil and eyeliner, they are made to stand water, so they will stand sweat and avoid the makeup from bleeding. Carrots, tomatoes, dark Chocolate, Leafy Greens, Kiwi, Oranges, Green tea, Watermelon, Berries. Fruits and vegetables boost the body’s defenses against UV rays, free radical damage and inflammation. After spending time in the sun, chlorine and salt water; your hair may be frizzy and brittle. Use a hydrating mask once a week to restore dryness and repair the hair cuticle. Good oils like jojoba, argan and coconut make great hair masks. Spray the hair with water first to make it damp and then apply the oil. This will increase absorption. Leave it on for 20 to 30 min and then wash the hair as usual. Choose hair care products with UV and color protection to prevent discoloration. To fight frizz, look for products designed to straighten the hair they fill in the spaces in the hair cuticle making it smoother and shiny. This gel makes the hair silky smooth. It works great to fight frizz. Give your skin some love and nourishment. Include in your skincare routine ingredients that support what the skin needs during these hot and humid days. Vitamin C and hyaluronic acid are two crucial ingredients that help re-energize the skin, giving the skin beautiful radiance and restoring hydration. 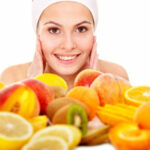 Vitamin C is essential in the production of collagen contributing to improve the skin’s elasticity and firmness. It also works as skin brightener, making the skin look more even and giving it a healthy glow. Hyaluronic acid holds 1,000 times its weight in water. It bursts the skin with hydration and gives the skin a smooth and fresh appearance. Our Zkin Fix serum contains these two key ingredients among many others to help your skin keep up with the challenging demands of Summer weather. Zkin Fix Anti Aging Serum contains: Vitamin C, Hyaluronic Acid, Ferulic Acid, Vitamin E, Collagen, Peptides, Phyto Stem Cells & Niacinamide. It highly protects your skin from free radical damage and supports cellular repair and regeneration for healthy looking skin. Keep a soothing toner in your handbag, rose water for example, and spray the mist throughout the day, it helps maintain the skin refreshed and hydrated and it can be sprayed even over makeup. These are toners that I have tried and are very soothing. The Thayers Witch Hazel and rose, is best for oily, acne-prone and combination skin types. Exfoliate at least once a week with a good scrub to eliminate dead skin cells and residual product left on the skin. It is also a fundamental step if you use self-tanning products helping the tan last longer. A simple one for the body; easy to make at home, is a mix of brown sugar, olive oil, honey and a few drops of lemon. Rub it gently and then remove with warm water and proceed to shower as usual. Apply a body cream right after showering for silky smooth skin. Use sunscreen daily. Dermatologists recommend using an SPF of 30 or higher. Prolonged sun exposure can lead to irreversible damage, photo-aging (wrinkles, sun spots, etc), and increases the risk of getting skin cancer even without a sunburn. For regular use, select a lighter texture sunscreen; especially, if makeup is going to be worn over it.For longer hours of sun expose choose a higher SPF such a 50 or 50+ , a water-resistant is a smart pick for sports and outdoor activities and always remember to reapply the product every 2 hours.